One of two sculptural ceramic pieces by Melbourne based artist Angela Brennan showing in Home’s ‘Colour & Form’ opening this Thursday from 6-8pm. Angela Brennan’s practice incorporates a range of media including painting, drawing and ceramics. She incorporates both abstraction and figuration in her work, and has a varied approach to subject matter, informed by classical and contemporary sources. Angela Brennan was commissioned to exhibit a solo study in the Australian Centre for Contemporary Art’s major 2016 exhibition Painting. More Painting. In 2017 her work has been included in Shut up and Paint at the National Gallery of Victoria, and the National Gallery of Australia’s touring exhibition Abstraction: celebrating Australian women abstract artists. She has been awarded numerous overseas residencies, most recently the Australia Council studio at the British School of Rome and Artist in Residence at The University of Sydney Archaeological Excavations of the Paphos Theatre Site, Cyprus. 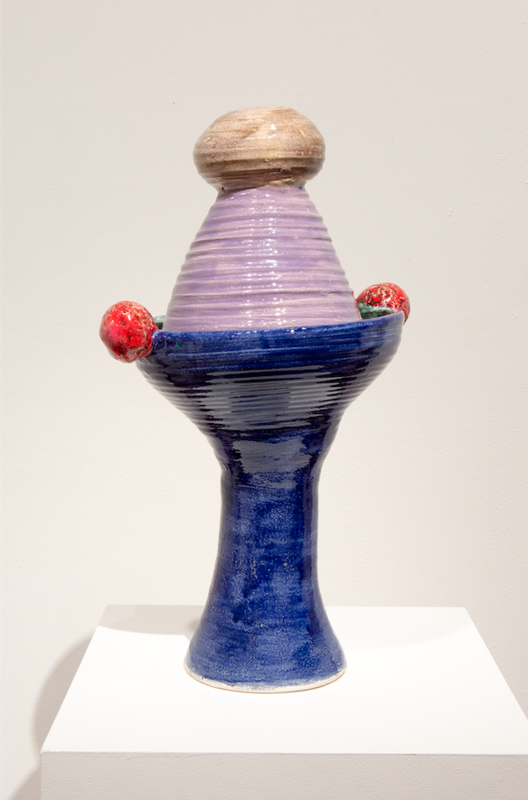 Pictured is Echo, 2014, earthenware – Image courtesy of the artist and Roslyn Oxley Gallery, Sydney.